Roll up, roll up, roll up! All the fun of the fair in the comfort of your own home. Using nothing more than a teaspoon of ordinary sugar and a little heat, our Candyfloss Maker creates the real thing in minutes. You can even jazz it up by adding a touch of flavouring. Such an easy way to create an exciting treat for youngsters, or take the young-at-heart on a trip down memory lane. 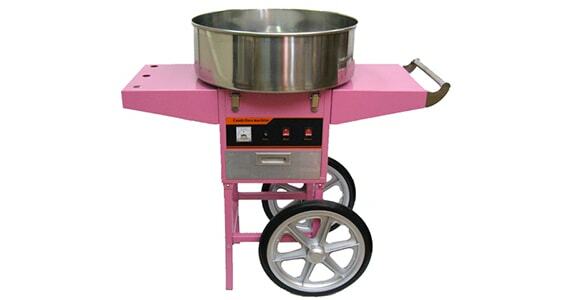 Easy to use, the candy floss maker can make approximately two-three sticks a minute.